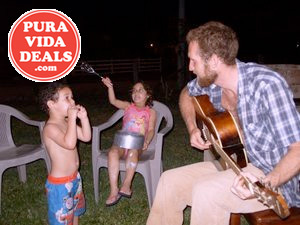 Had the pleasure of posting a deal today, for a guitar and music lesson in Playa Samara, Costa Rica. Half hour lessons with a local guitarist/musician cost only $15. Barrett has been playing guitar since 2000. The last 5 years he has spent playing with other musicians and anyone who likes to make noise. A music lesson a great way to change up a Playa Samara vacation.